There are many cost effective beauty treatments that one may employ to save money. Both men and women must put forth an effort to preserve the integrity skin texture. Furthermore, many beauty treatments advertised on the market are ridden with caustic chemicals that strip the skin of its natural beauty. 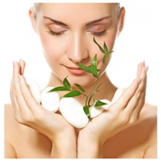 Nature possesses everything one needs to develop beautiful, soft, glowing attractive skin. Not to mention, these natural beauty treatments are far cheaper than the chemically-based beauty products on the market. Read below to discover simple, affordable ways to feel more beautiful. Egg Mask: An egg facial mask can work wonders for your skin. The innate proteins that exist in eggs have the capacity to help restructure, rejuvenate and restore your skin. Furthermore, as the egg mask dries, it generates a tightening effect for the skin. In essence, egg masks can restore elasticity for the skin, producing a tighter, more youthful appearance. To apply it, simple whip the egg into an even consistency, lather it onto your face, and allow it to dry. Sugar and Honey Facial Scrub: This particular kind of scrub serves as the perfect exfoliant for skin. sugar possesses amazing chemical properties that contribute to skin regeneration, and provide it with a natural glow. Try to exfoliate no more than 2 times per week, as over exfoliation can damage the outer layer of skin and prevent it from regenerating. Olive oil moisturizer: For ages, olive oil has functioned as a rejuvenative moisturizer, and it is fraught with vitamin D, and other essential properties. It can smooth the appearance of fine lines, reduce the occurrence of wrinkles, and give the skin a vibrant, dazzling glow. Green Tea Bag Eye Treatment: Do you suffer from under eye bags or dark circles? A simple tea bag will do the trick. Simply close your eyes, and place damp tea bags onto your eyes for 20-30 minutes. Once you remove the teabags, your eyes will appear noticeably different. Green Tea Toner: A toner is designed to uproot impurities from the skin and pores. If you clean your skin with green tea, this will serve as an effective toner. Cocoa Butter: The daily application of cocoa butter lotion can minimize the appearance of stretch marks, scars, and other skin discolorations.for information Click Here!